The premiere Python conference in the Caribbean returns to Santo Domingo with two full days of speakers on four tracks, covering everything a Python enthusiast would want to know. Join the event February 16-17. 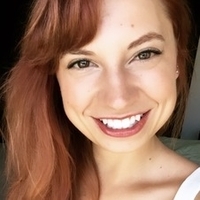 Elise Ott, a Toptal Sales Engineer and member of the Toptal Speakers Network, will take the stage February 16 at 11:50am. Her talk on Essential Communication Skills for Business is open to all, and especially to developers who are building their connections and careers. Her talk breaks down the main communication skills you need to get hired for more jobs, make your project more easily digestible to the untrained eye, and encourage social skills that set you above the rest. For more information and event tickets, see the PyCaribbean website. Your message to Elise was sent.